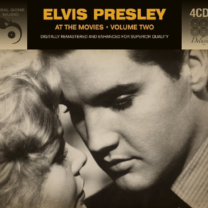 La Real Gone ha annunciato l’uscita di un box di 4 cd intitolato “Elvis At The Movies Vol. 2”, una compilation di brani tratti dalle colonne sonore dei film. 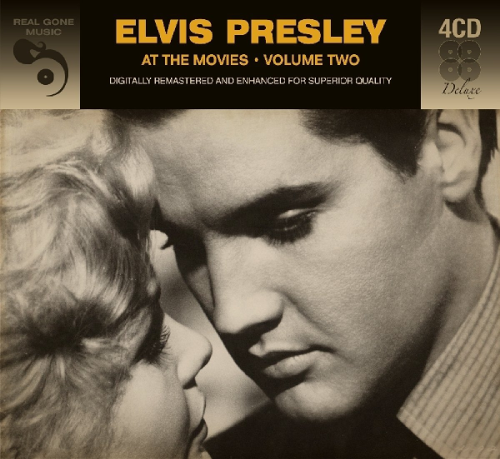 CD 4: We’ll Be Together – A Boy Like Me, A Girl Like You – Earth Boy – Return To Sender – Because Of Love – Thanks To The Rolling Sea – Song Of The Shrimp – Walls Have Ears – We’re Comin’ In Loaded – Girls! Girls! Girls! – I Don’t Wanna Be Tied – We’ll Be Together – A Boy Like Me, A Girl Like You – Earth Boy – Return To Sender – Because Of Love – Thanks To The Rolling Sea – Song Of The Shrimp – Walls Have Ears – We’re Comin’ In Loaded – Dainty Little Moonbeams / Girls! Girls! Girls!